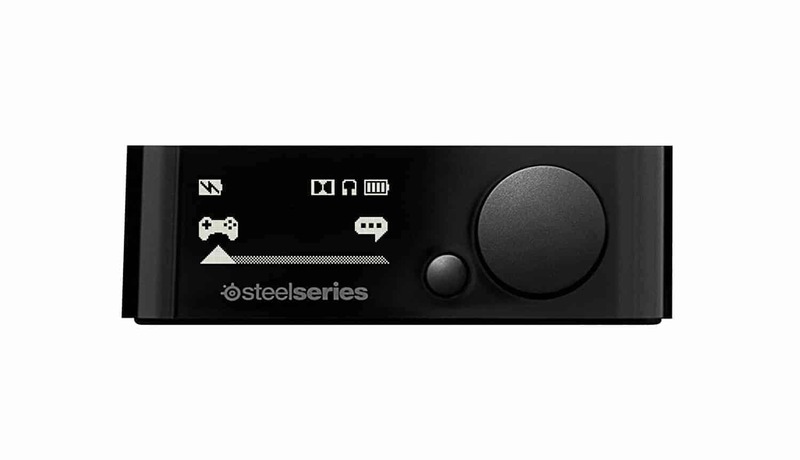 The 9H Wireless Gaming Headset and Transmitter from SteelSeries includes a headset, microphone and transmitter that are designed to be compatible with gaming systems. The LiveMix software allows for low latency audio streaming and continuous frequency hopping to decrease sound lag. The ChatMix and LiveMix team up together to automatically adjust in-game volume when chat volume increases or decreases, or if you prefer, can be manually adjusted as well. The transmitter’s equalizer can be tailored to your sound preferences or automatically set to a pre-set and monitored using the OLED display. 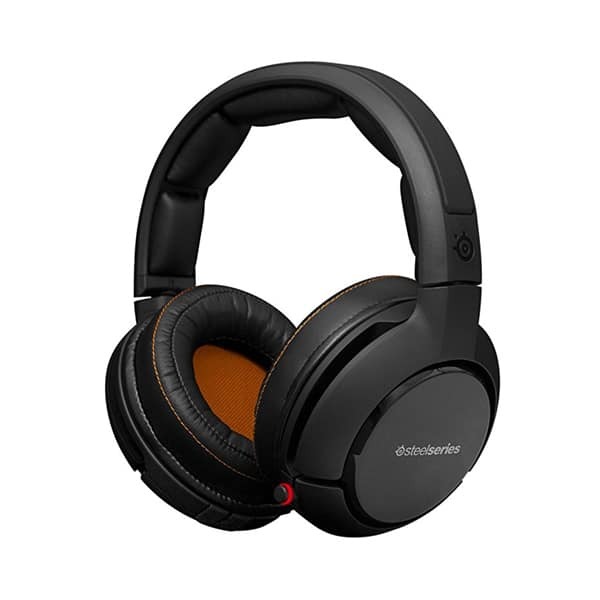 The headset speakers feature Dolby Digital, Dolby Headphone, and Dolby Pro Logic llx creating a virtual 7.1 soundscape heard throughout the memory padded foam ear cups. Sound adjustments can be made through an on-ear cup control wheel. Swappable lithium-ion batteries are included and can be charged inside the transmitter. When needed, the batteries can be swapped even while gaming. With ports for universal compatibility, the headset also features a unidirectional microphone and extra audio port for a friend to listen in. 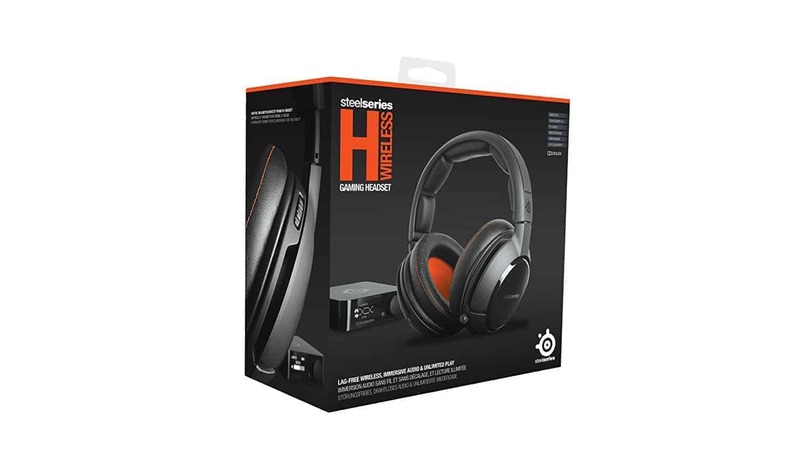 SteelSeries H Wireless Gaming HeadsetH Wireless cuts the cord on our highly successful H Series headset line to deliver exceptional audio in a brilliantly designed wireless headset. Crystal clear audio and cutting edge performance on all your platforms. Don’t settle. Go limitless. H Wireless is continuously frequency hopping to preempt and circumvent interference. The competition waits for interference to be detected to change channels. We just avoid it completely. H Wireless delivers the lowest latency in the industry. Many wireless headsets have variable latency, where audio sometimes slows down or speeds up depending on the lag. Our audio stream is fixed, giving you consistent and smooth audio delivery. We built a multiplatform headset and then threw in even more connection options just to be safe. H Wireless works on Xbox, PlayStation, PC, Mac, home entertainment systems, phones, and tablets. It also works wirelessly on the Playstation 4. We even threw in a Sound Share port for when a friend wants to join in on the experience. Never lose power, never go wired. With so many possible sources of entertainment, we don’t want you running out of battery mid-session. Knowing that, we included two 20-hour lithium-ion batteries, which can be changed mid-action without the hassle of any cables or wires. The spare battery charges inside the transmitter. Ready when you need it. Immerse yourself in the incredible virtual 7.1 soundscape. 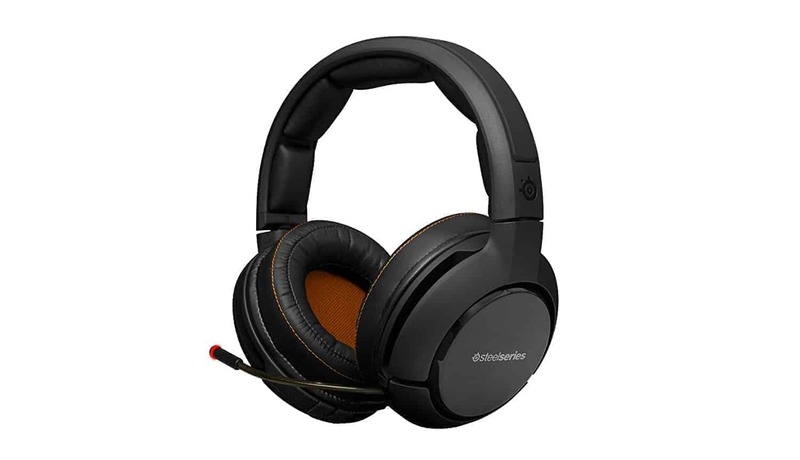 While most headsets simply feature Dolby Headphone, we feature three different Dolby technologies: Dolby Headphone, Dolby Digital, and Dolby Pro Logic IIx. Our unique audio transmitter features a stunning OLED display. Profiles, audio sources, battery life, and volume are shown with crystal clear moving and still visuals. No tiny blinking lights to try and decipher. The large display makes it easy to see and operate from the comfort of your couch. Looks aren’t everything? Tell that to the ugly headsets. While we believe audio comes first and foremost, it doesn’t hurt that H Wireless has a simple, yet striking design. Both the headset and the transmitter offer up a modern allure that assures it won’t look out of place at home or on the go. 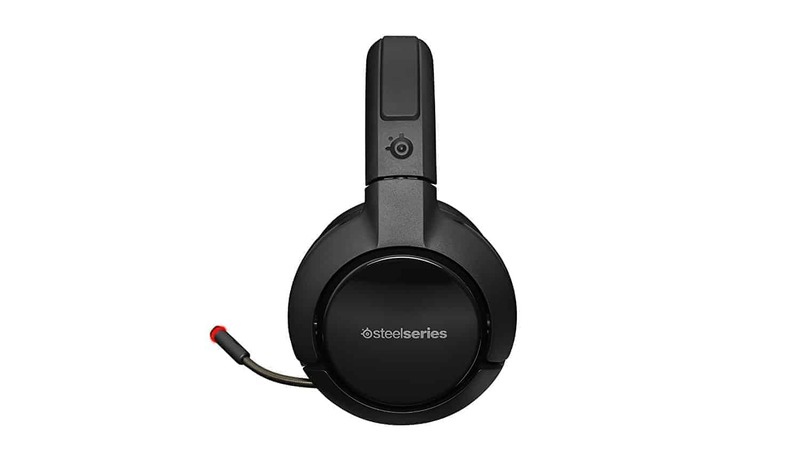 The iconic H Series colors return with a stylish matte black look throughout most of the headset. 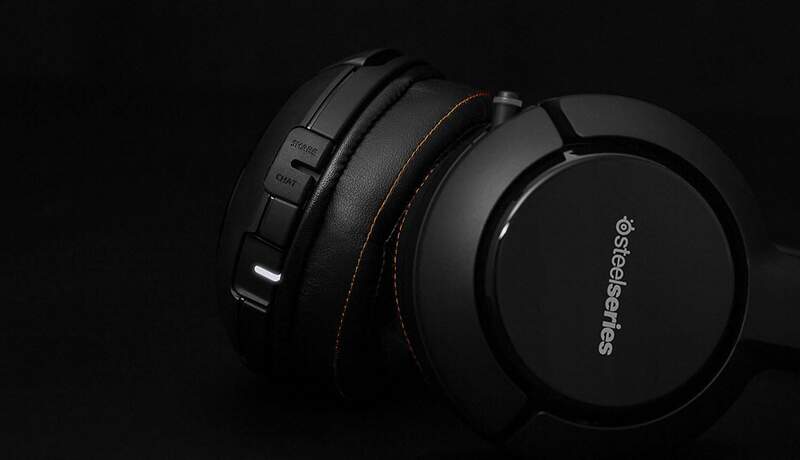 A glossy finish adorns the sides of the ear cups while a touch of SteelSeries Orange highlights the inner ear cup and stitching. Memory foam padding on the headband and earcups provides enduring comfort for long sessions. H Wireless cuts the cord on our highly successful H Series headset line to deliver exceptional audio in a brilliantly designed wireless headset. Crystal clear audio and cutting edge performance on all your platforms. Don’t settle. Go limitless. The iconic H Series colours return with a stylish matte black look throughout most of the headset. A glossy finish adorns the sides of the ear cups while a touch of SteelSeries Orange highlights the inner ear cup and stitching. Memory foam padding on the headband and earcups provides enduring comfort for long sessions.